Following a previous rant on the subject of lane swimming, I decided to do a quick explanation of lane swimming etiquette. None of this is original to me, these are the rules that club and lane swimmers around the world follow, but which seem a mystery to everyone else. The result is the site’s most popular article, and since LoneSwimmer.com is predominantly about open water swimming, the irony isn’t lost on me. Non-, and beginner swimmers are sometimes appalled to discover that faster swimmers should have the right of way. Anger by slower swimmers to faster swimmers cause at least as much anger as faster swimmers feeling they are being deliberately impeded by slower swimmers. Rule 2: Never get into an occupied land without letting the person/people already swimming know you are entering.Do this by dangling your legs into the water or standing to the side at the end of the lane when they are turning. I realise this is a long list though, and may be impractical. Giving it some thought, I wondered what would be an effective but much shorter list of Three Essential Rules? One: Never get into an occupied land without letting the person/people already swimming know you are entering. Do this by dangling your legs into the water or standing to the side at the end of the lane when they are turning. Never stand in the centre of a lane. Two: Fastest person present has right of way. Note other swimmer’s speeds before you enter. Direction is usually pool AND lane specific. Three: Do NOT start, turn or push off in front of faster swimmers. Faster swimmers should allow slower swimmers as much time as possible before starting. Don’t turn into oncoming swimmers. But is even that brief enough? Surely we can have a Golden Rule of Lane Swimming. Be aware of and adapt to what is going on around you. Added an Infographic of this that you can print in high resolution, laminate and give to your local pool. Maybe getting it for free will convince them to put it up and make life better for them, and for you. Download the print version from here. On which direction of the lane one must rest please? 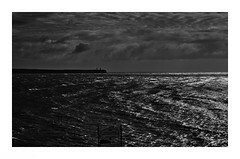 The coming side or the going? Thanks! Either one is ok. If you are just finishing a lap and you have a fast swimmer behind, stay on the coming side, let the swimmer do the turn (in the middle). You should start your next lap from the going side. Move to the other corner when no one is approaching. If a swimmer faster than you is approaching the wall while you are ready to start, wait until he/she either turns or stops. Then you can go. This system of prioritization minimizes the disruption for both the fast and the slower swimmer. If you are the only one resting, go towards the corner. If there’s someone else resting there, use the other corner. If there’s more people resting in the corners, keep “piling up” towards the corners, but always leave the middle free. I sought out information on proper pool etiquette, due to my own confusion, and lack of lifeguard help (who can blame them, they’re all teenagers). I circle swim at public pools in the U. S. I’ve had both things happen to me: I’ve annoyed faster swimmers (not intentionally) and I’ve been annoyed by slower swimmers. It’s the “passing” part that confuses me. Many times no one taps your feet, they just wait for the opening and then pass you. This works for me, but maybe not for them. I want to be polite, but I can’t tell if someone is right behind me unless they tap me. Sometimes faster swimmers will tap your feet, but then what do I do? Do I move over as close to the rope as I can get? Do I stop in the middle of the lane, or stop swimming at my current pace to let them pass? It sounds from your post as if I am supposed to get to the end of the lane, where you make your turn, and stop. This can’t be right can it? I have had three women get annoyed because I did not slow down to “let” them pass, I just kept swimming at my pace. I thought if you were passing, you just passed—obviously because you are faster. In each instance, no one else in the lane was passing me, so I wondered if the lone passer should actually be in a faster lane than the rest of us. I’ve also had people try to pass me right at the end of the lane, turning right into me, or pass underneath me. The problem with our city pools is that they are very crowded. You get into the medium lane with people who are fast/medium to slow/medium. “Medium” is a hard thing to define! In any case, I am now thinking that it is definitely me and not them. So: receive foot tap, move over, slow down for faster swimmer to pass? Would that be right? Oh, is that why she was tapping my feet? I thought she was playing footsie-footsie and flirting a bit, showing off she could keep up. Never found out, she was one of the “ships that passed in the night” – pity, one of the girls who could actually keep up. Want to write more later, about rotation direction, passing underwater on tumble turns, when do you have to stop to apologise after a collision. Probably the only rule I disagree with, if there are four lanes in operation marked SLOW, MED, MED, FAST, and there is one person in the fast lane, two people in each MED lane and no-one in the slow lane, I should be joining the person in the fast lane unless I note they are going substantially faster than my 1:35/100m pace and 1:25/100m interval pace (freestyle). I don’t think under any circumstances it’s fair to someone possibly arriving to “float/chat/drown” in the slow lane to have someone already in there pounding out laps. If slow swimmers occupied regular lanes instead of slow lane dedicated to them, and therefore it is now empty, I willl use it. Your rules are intelligent and allow everybody to get on with what they want to do, but I’d make a plea for your readers to remember: as well as efficiency, remember kindness/leniency for people’s weaknesses. You can forget them if you swim alone, but you are likely sharing a leisure facility (not a workplace) with other people, people who no doubt are there to enjoy themselves and the freedom that swimming gives them. They are amateur, not professional swimmers and no doubt want to act like such. It’s their hobby. Don’t become an officious swimmer. Spread a bit of good feeling by adding forbearance when you react to that idiot who has no courtesy whatsoever, etc., etc.. It’s about sharing. Excellent points. Of course the reciprocal also applies, and is probably what irritates most swimmers, that we take the time to learn what we are doing and act appropriately so everyone can share, so why isn’t the same consideration given back? I think most of us actually do tolerate those you mention, but that weakness you mention can apply on a bad day when you are doing everything you can to share, and the other person isn’t co-operating. I have been lane swimming in London for nearly 25 years. Many pools closed in the eighties and some have reopened but we are still short. The largest pool in central London (nearly Olympic) was privatised about 10 years ago. Pools in private gyms are usually too small for lane swimming, so this leaves serious swimmers to use public pools which are now managed by BETTER for all 32 boroughs in London. If you join a gym at BETTER you have to carry out a gym induction but there is no induction for lane swimming so it is free for all and the lanes are in absolute chaos, life guards are not proactive in organising them due to verbal abuse. I never ever seem to be able to swim comfortably as co swimmers have no idea as where to rest or return. Or know nothing about etiquette. 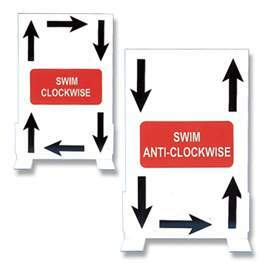 The advise given is to return in the middle of the lane or in the lane you about to swim in. I am correct in thinking then anyone wishing to REST should do so in the lane they have just swam in. Time and time again people rest in such in a way as to not allow this to happen. I have spoken to BETTER about this on countless occasions but because they lease the centres from the local authority it would appear their hands are tied about making decisions. I swim in 4 or 5 local authority pools in London, depends where I am in London and they are all in chaos. One tip: If all lanes have two people splitting the lane, don’t just hop in a lane with swimmers who are faster than you, and ask them to circle swim–it is getting in the way of their workout, because they will have to pass you time and time again, and it will also save you some embarrasment and stink eyes. Same goes for getting in a lane with an individual where no lanes are being shared–get in the lane that is most appropriate for your speed. When one has to share a lane, they should share with someone close to their speed whenever possible. I had a similar experience a couple of weeks ago. I was doing 10 x 100, alternating freestyle on 1:10, and IM on 1:20, and there were three others in the pool with me at the same time, who weren’t quite this fast; maybe all between 1:45-2:00/100. Next, some guy wearing swim trunks hops in my lane, and attempts butterfly down the middle of the lane. He then swam freestyle, stopping every 50 yards, and swimming at about 2:00/100 yards. He didn’t even ask to share a lane. I was a little upset–couldn’t the guy have just got in a lane with someone closer to his speed? Don’t be like this guy. I’m always more than happy to share a lane with another, provided that the lane I’m in is the most appropriate for them (which this guy was not), and that they ask before getting in. All god points Jack, and can;’t be said too often. Thanks. The two that astound me are ‘women who walk’ (side by side in the lane talking) and those men who use their arms like cricket bats and seem to have no awareness of anyone else in the lane. I haven’t met toe tapping at my club, Whose toes are being tapped and with or on what? Hi Tessa, if you want to pass the person on front, you tap their feet. Alternatively if someone taps your feet, you pull over a the lane end. Since this tends to freak non-swimmers out, it’s mostly used amongst swimmers, who don’t really need these rules explained as much. Hi Donal! I just came across your blog right now (I was looking for paddle reviews and you convinced me to get the Finis Agility ones 😉 ), and I can only say, amen to what you have to say about lane swimming and the Furious Bobs of this world. At my local pool it’s mostly fine during the winter because the fast lane is in the outdoor pool, so numbers dwindle when it gets cold. But in the summer it is positively awful. Last year I had a discussion with the lifeguard about this and he told me he didn’t want to get shouted at if he told people to get off the fast lane, because they generally feel they have a right to be there, even if they can barely swim. Thanks Bettina. I agree that men are often too egotiscal to listen. On the blog I call those like that the “who the hell do you think you are” brigade. Substitute hell for another word. Swimmers know to listen, other men, especially those who come from field games into the pool, well, not so much. It’s wet and we wear Speedoes, it must be easy, right? Oh god yes. I’m not a fast swimmer by any means, but I can comfortably keep up in the medium lane. The number of men who assume they’re fast swimmers and can go ahead of me, when in reality they’re like giant Swimming Action Man,is astonishing. Ha ha Bettina, you swim enough, for sure you going to get SOME men as you have observed. I enjoy being overtaken by women faster than I, they must just not finish their swim before me, always good to chat and compare notes afterwards, not dash for the shower. “…Every pool has a Furious Bob. Every swimmer has encountered someone similar. We bite our lips, try to swim around them, and get on with our own stuff. After-all they’ll usually be gone in a few minutes.” That last bit is exactly right. The more they trash about – furious or not – the faster they seem to leave. To be clear, although I prefer to swim in a lane section by myself for my swimming meditation (that’s what swimming is for me at this point), I’m fine doing circles with others who are as experienced as I. Unfortunately, in my current location, the “swimmers” (not sure I can even call them that) are all over the board from elementary backstrokers to water joggers. That’s when things fall apart. And I had my own Furious Bob experience recently. I was sharing a (25-yard) lane with someone I knew when Bob shows up in the shallow end. At least he had the smarts (or luck) to announce his presence, I’ll give him that one. So this Bob stands by watching as we two go through at least 2-3 cycles of laps. I’m assuming he’s watching closely and judging our relative speeds so that he can enter the flow the right way. Nope! What does he do but wait until I am literally flip-turning at the wall when he decides to start his dog paddle. I mean right in front of me! Can any adult in their 40s possibly be that stupid or unaware? Yes, they can; they certainly can. Maybe some day I’ll come across the pond to swim with you. Ah, yes, our favourite move, starting just in front of us! I’ll look forward to swimming with you! Thanks for this. It was a therapeutic post for me, as is this whole page. I am training for a 5k charity swim. This morning, as I approached the wall I saw someone resting (whom I had passed twice already). I turned and found that she had pushed off nanoseconds ahead of me and I landed on top of her. Apparently she thought I was about to have a rest. She complained about me, and the pool management’s approach is that if someone complains, you did something wrong. The staff who understand lane etiquette are not managers. I want to find a different pool, but the same organisation runs all the pools in the city. Thank you. I think it helps to know we are not alone in this, swimmers the world over suffer the depredations f others who don’t know what they are doing. I’ve just come from a lunchtime swim, where I had almost exactly the same conversation yet again, with another swimmer. I don’t think most pools are any different either, for what it’s worth! I’ll be blunt: Circle swimming DOES NOT WORK when people are of different speeds or abilities. Sounds harsh, I know, but I’ve been swimming for 50+ years, and I’ve seen it all. When a person enters a lane of adult swimmers of varying abilities (already swimming side-by-side) they are, in effect, forcing themselves onto these existing swimmers and completely disrupting the swims of those two swimmers. There is another option: Do not join the lane. Simply wait until someone leaves (that lane or another). That’s what I do. And, in fact, if someone forces their way into my lane, I usually quit and leave because it’s not worth the hassle. Of course, if you know the other two swimmers well AND you are all at roughly the same ability and speed, and/or there are many lanes to group different speeds, it is possible to make circle swimming work (as it does in competitive team workouts, which I used to do a lot of), but my experience with “civilian swimmers” (normal adults of varying abilities) is that circle swimming is a waste of my time so I do not do it. And most adults where I swim feel the same and also simply “wait their turn” to swim. Thanks Harald. I don’t disagree entirely. I wouldn’t get into a lane with more than one swimmer I didn’t know. But as you point out the problem also results when others, the Furious Bobs, join a lane in which people are already swimming. I am not going to forego a workout because someone who doesn’t have a clue joins. Of course, in a way much of this discussion is academic, because we both know that any two or even more experienced swimmers of different speeds can swim in the same lane. The problem arises with people who have no idea, and of course, those people will never check just what they should and shouldn’t do. My nearest pool (Royal Commonwealth Pool in Edinburgh) puts signs up – slow, medium, fast. I don’t see the point of having lanes and not specifying who should be in them, otherwise chaos is inevitable. Ah, the head-on crash. Never boring! Wide kicks? I occasionally have to share the lane with a person whose kick is so wide he burst the eardrum of another swimmer (elite level) when he kicked him in the head. Wow, I thought I’d seen everything, but Figure 8s? Whoa, dude. And yeah, I also just wait, too. I think the exception to this rule is when you have an 8-lane pool that has three lanes reserved for Masters and three lanes reserved for private high school coaching and lane swimmers are left with only two lanes. If there are 10 lane swimmers, I don’t expect 9 of them to float up and down the handicapped-accessible lane 1 just because they can’t do a 1:36/100m pace like I can on longer swims. However if there are four or five lanes open? Ugh! READ THE LANE SPEED SIGNS, it also doesn’t help when life guards are just standing around doing nothing to help. Thank you so much! This is very useful. Thanks for posting this! As someone who is new to lap swimming, it is good to learn some courtesies for the pool.